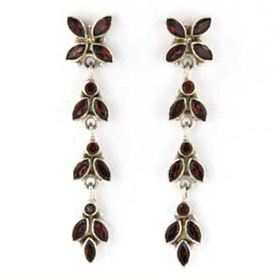 These stunning earrings are long combining femininity with unashamed glamour. 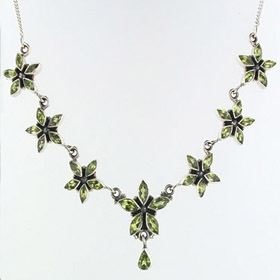 The star flower fits against your earlobe with a post and butterfly fastening. 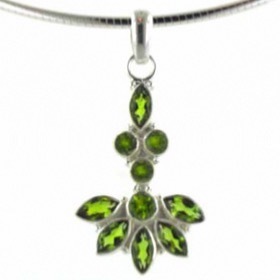 A waterfall of glittering peridot leaves drops elegantly from the flower. 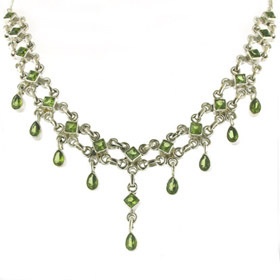 These peridot earrings are set in sterling silver.